The 15th Annual Colorado Snow and Avalanche Workshop is a one-day professional development seminar for people working in avalanche safety. It provides a venue for avalanche workers to listen to presentations and discuss new ideas, techniques and technologies with their colleagues. The meeting is intended for ski patrollers, avalanche forecasters, road maintenance personnel, ski guides, avalanche education instructors, undergraduate and graduate students, and applied researchers, but the meeting is open to anyone. Final week for reduced price tickets! 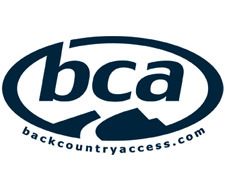 Followed by a FREE Happy Hour sponosored by Backcountry Access. The Breckenridge Riverwalk Center will host CSAW 2016. It is a spacious venue, nestled in the heart of the historic mining town. The Center is at 150 W Adams Ave, Breckenridge, CO 80424.